Update: Dakomoda is no longer utilizing the direct sales model. You can, however, still purchase Dakomoda clothing via their Amazon Store. I adore fashion! And being a mom allows me to indulge in that passion on a whole new level. That’s why I was so excited to review this new home-based business opportunity with Dakomoda. In 2014 Elena and David Kohina launched a designer clothing line for children — with the stipulation that it be sold at affordable prices. They've taken the finest fabrics and materials and paired it with expert craftsmanship to create a line that is luxurious, durable, and fashionable. But how are they able to maintain the line’s affordability? Good question. To keep operating costs down Dakomoda is only sold online and via Direct Sales Partners, so they’re able to deliver high-end clothing at affordable prices. Dakomoda sells both girls and boys clothing, sizes 0 – 3 months to as large as size 7T. Prices range from $14.95 – $59.95. Looking at the catalog online the clothes look stylish, but when you get to feel and touch them in person – wow, the quality really stands out. The Peruvian pima cotton that is used in the garments is incredibly soft and thick. Each garment also has extra finishing details; like the contrast woven trims on the neckline, sleeves, and placket of the pima cotton piqué polo or the hand embroidered detail on the organic pima cotton romper. To become a Direct Sales Partner with Dakomoda you can purchase a Showcase Partner Marketing Kit for $99 or the Advanced Partner Marketing Kit for $199. As a Partner, you can earn 25% commission on one-to-one sales, catalog sales, and website sales. On top of that, you can earn an additional 4% – 10% commission for personal retail volume bonuses. Another way to earn income as a Partner to is to build a team. For each new team member, you bring on you can earn an additional 2% – 10% BV (Bonus Value is 75% of retail sales) on their sales. To remain active as a Direct Sales Partner, you must sell at least $300 Personal Bonus Value each month. Dakomoda is looking for proven leaders who can help lead with the expansion of the company. Qualified individuals will have the opportunity to personally work with the owners of the company and play an integral role in training and growth of the company. Find out more here. Once you purchase your Marketing Kit, you’ll be paired up with a sponsor who will help you get started. Along with your sponsor, you’re given a Partner Guide which gives you answers to frequently asked questions, resources, business basics, forms, detailed information about the compensation plan, as well as a detailed checklist of tasks to complete in your first two weeks of joining. Additional resources include online training webinars, business training sessions, field training, and a 94-page internet marketing strategy guide. In this guide, you’ll learn about beginner and advanced marketing practices like blogging, content marketing, social media, paid advertising, funded proposals, and automated recruiting systems — all which will help you promote and grow your business. Another way Dakomoda helps with your marketing efforts is to provide hostess perks which reward women for hosting in-home shopping parties. The hostess can earn credits ranging from 15% – 25% of sales and additional 1/2 price items. To encourage repeat sales, Dakomoda offers a Preferred Customer Program where customers can enjoy 10% reward points on all of their purchases. Reward points can be redeemed for free products, and if they refer other shoppers to the program, they can earn even more reward points. Our product! Our classic designs made from the best fabrics. We know exactly where our clothes come from and who makes them. Please see my blog entry about my trip to Lima, Peru to personally inspect our factories. I’d have to agree on this point, as Dakomoda has high ethical, social, and corporate values, and they demand the same from their suppliers. In fact, the factories that they work with are audited on a regular basis to ensure compliance with their terms, which include the prohibition of child labor or forced labor, treating workers with respect and without discrimination, and ensuring fair wages and a safe work environment. I’ve been impressed with Dakomoda from the high quality, stylish clothes to the business opportunity, and the high ethics that the company exhibits. The business opportunity is affordable to join, and the commission structure is highly competitive. One neat aspect about this opportunity is because it’s new, you’re able to be one of the first Partners who could potentially mean bigger profits and more opportunity to grow your team since the market isn’t saturated. 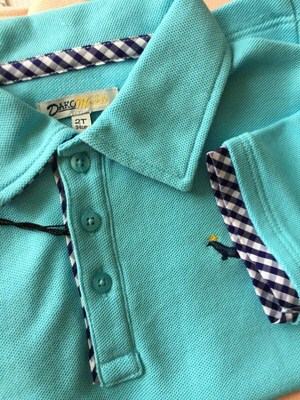 If you’d like to sell high-end kids clothing from home, you can connect with Dakomoda on Amazon or via one of their social channels: Facebook, Twitter, Instagram, or Pinterest. This post is sponsored by Dakomoda. All opinions expressed are my own. Please be aware that we can only promote advertising from companies that we feel we can legitimately recommend to our readers. For more information, please see our disclosure policy. I believe it’s only available in the US. This kids clothing are beautiful and very informative.Thanks for sharing this blog.